Whitbarrow Hotel HotelSituated in the heart of England's National Park; The Lake District, enjoying a serene and un-spoilt landscape as far as the eye can see, the Whitbarrow Hotel at Whitbarrow Village provides you with a unique experience, offering all the modern comforts you would expect from a hotel with the added advantage of a fully serviced self-catering facility meaning you can be completely self-sufficient. Our Suites are fully fitted with Wi-Fi, surround sound television systems and tasteful yet modern furnishings. 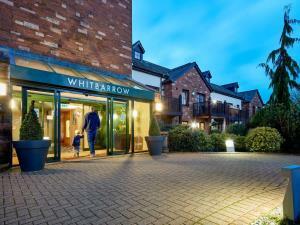 Whitbarrow Hotel sits near to Blencathra Fell and offers both luxury and serenity to all who visit - as well as easy access to the delights of the Lake District.